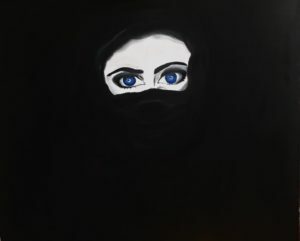 I had drawn this painting when i came to know about an art competition , and the theme was of my interest. 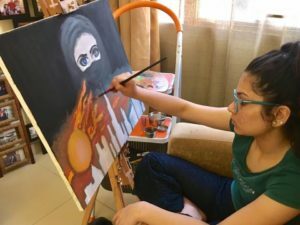 At first my mind jumped to some basic ideas such as a girl smiling expressing her happiness but then I came to realise that maybe happiness is more subtle. 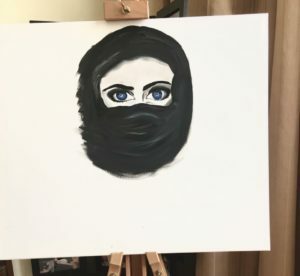 Recent to that women’s day in the UAE had passed and it showed me how happy all the women in the country were, how empowered they are and how futuristic they are in their thoughts, ideas and actions. In the painting there is no smile to express joy but simply eyes. As famously said the eyes are the window to the soul and I intended for the eyes to express a sense of hope and courage. 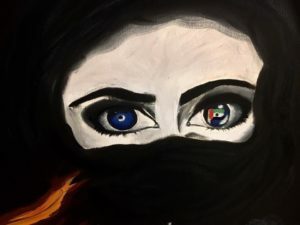 The right eye also has the flag of the UAE placed in it representing the sense of identity. 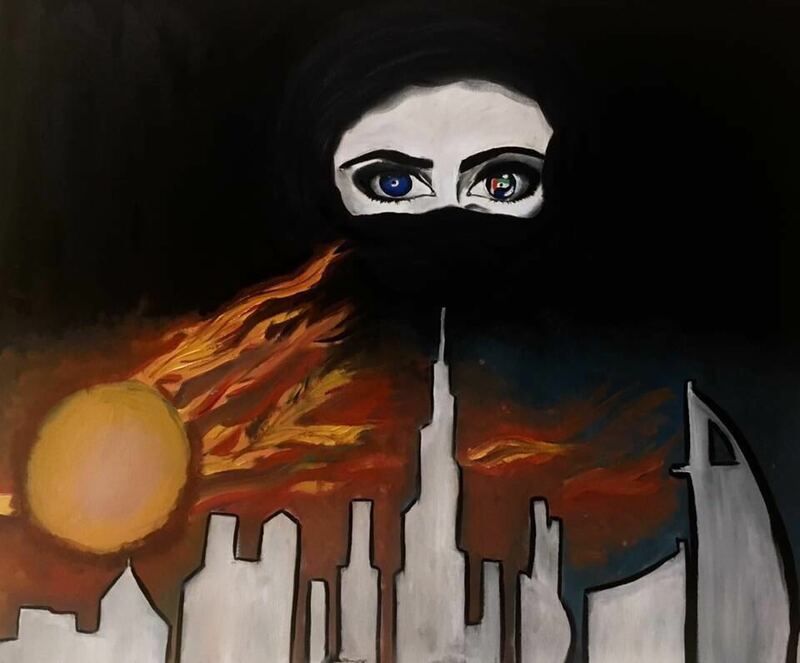 The skyline of Dubai gives the painting context and tells the audience about the woman’s way of living with explicitly drawing it. The striking rays of sunlight are beaming upon the hijabi lady to show how light is being shed upon women. 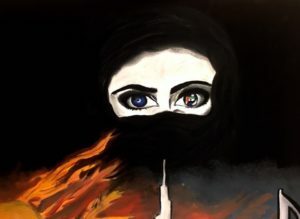 After taking all of these points into consideration I then decided to finally conclude this artistic journey by naming my painting ‘women’s emancipation’ in hopes of shedding my own light upon the subject of women’s empowerment.